The latest wrinkle in the on-again-off-again plans for a new FBI headquarters came via a press leak. The inspector general for the General Services Administration, according to a partial draft report provided to The Washington Post, is fine-tuning criticisms suggesting a stronger White House role than GSA officials had previously indicated in the July 2017 sudden cancellation of bidding on construction of a new FBI complex out in Washington’s suburbs. General Services Administration Administrator Emily Murphy, the Post noted, at a House Appropriations Committee hearing last April mentioned discussions of funding a renovated downtown building with the Office of Management and Budget, but allegedly “downplayed the role of the White House” in the decision to cancel the bidding process. The Post quoted an anonymous source saying that Murphy had discussed the project with President Trump, Jared Kushner and other White House staff such as Chief of Staff John Kelly. The draft IG report also reportedly suggests that cost estimates of keeping the headquarters downtown are unrealistic. A second GSA executive also got caught up in the nuances of White House involvement with the law enforcement agency’s plans for moving, the Post noted. GSA’s Public Buildings Service Commissioner Daniel Mathews assured senators back in February that he had not discussed the project with President Trump. He later clarified in a letter to Senate Environment and Public Works Chairman John Barrasso, R-Wyo., that he had misheard the question, and that he had discussed the subject during meetings with other high-level White House staff. 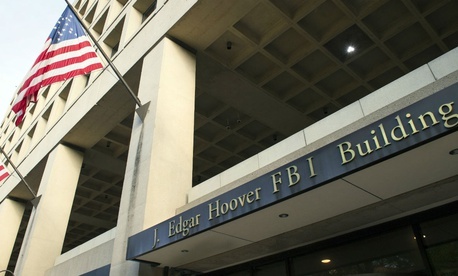 Last year’s cancellation of the FBI construction project after years of bidding and jockeying angered many Washington-area lawmakers whose contractor and federal employee constituents were counting on a new, far larger FBI headquarters in Maryland or Virginia to replace the crumbling structure downtown on Pennsylvania Avenue. And some have expressed suspicion of the possible benefits to the Trump business empire of keeping the FBI downtown. The GSA inspector general office, led by Carol Fortine Ochoa, told Government Executive on Wednesday that it does not comment on ongoing work.